Some wonderings…. Can you pause – for a moment – that could be potentially transformative? A pause as a stop, that is actually a movement, in the direction of new possibilities, for some growth, some development – of your consciousness, your self-awareness. A pause that enables a cessation of your conventional default ‘auto-pilot’ mode… that is actually a creative act, triggering a change in trajectory, a novel perspective. Are you ‘up’ for intentionally harnessing the power of pause, for exploring what might be generated, by giving pause a chance, to fundamentally change you? Fortunately, my formal professional practice in recent years has been complemented and enriched by participation in a ‘community of practice’ – more informal, but highly informative – if not occasionally transformative. We hold ‘inquiries’ that interest us as a group; one inquiry a few years ago was around ‘the power of pause’[i]. I am being drawn back into that inquiry now, as I notice the stillness practices gaining prominence in new social learning initiatives, such as the presencing featured in U Lab work; stillness as a protracted pause. The presencing that is enabled in the stillness (at the bottom of the U, in the core of one’s ‘You’) can release incredible potential – that can be literally transforming. Which seems like a rather good fit for a course that is all about transforming… business, society and self [ii]. I’m sensing that there is perhaps a causation of sorts at work here – that is possibly more ‘pausation’. Again, I find I am being given pause – to reflect on its professional development potential, as part of the discernment of one’s ‘prof-essence’ [iii]. For those who might initially resist stillness practices, an invitation to simply pause might garner more attention, in the spirit of some experimentation – not so much in the realm of cause and effect, but more in the field of pause and potential. I again take heart from my earlier exploration into the power of pause. The inquiry was highly generative, a testament to the value of the dialogue that can be achieved in a community of practice that affords a unique combination of amenity, intimacy and curiosity. Invariably, such inquiries – which often felt like pregnant pauses in my then ‘normal’ professional life – transport me into new realms of experience, which take the form of what I have come to call ‘in-sightings’. These often manifest in, literally, new terms – that attempt to capture the essence of the insights. That particular inquiry had me wondering about the possibility of pause as the root of a phenomenon on a par with causation; namely, pause as linked to pausation (in the same way that cause is linked to causation). It seems to me that so much of what professionals profess nowadays is based on an appreciation of ‘cause-effect’, rendering much ‘standard’ or ‘conventional’ practice as applied science. This has often felt unduly limited – and limiting – to myself. What about not only the application of science as a frame for our practice, but also the application of art (or the arts), and the application of humanity (or the humanities) … and enacting such multi-dimensional integration by design? Is this cause for pause? Might pause – and stillness as protracted pause – power such a reframing? Potentially, I would suggest – if pause was associated with pausation, in a world where ‘becoming’ was as privileged as ‘being’, where we take our leadership cue from what is already emerging. Pausation targets what that might be – what might come into being – as much as causation effectively targets what has been, or what is currently. While we obviously must continue to pay homage to the power of ‘cause-effect’, can we also equally credit what I sense is its twin – ‘pause-potential’? What are the ‘pausatives’ in pausation? The initial inquiry provoked me quite profoundly to confront how I relate with respect to pause, to making it operable in my terms. My ‘pausatives’ emerged as interesting conjunctions – with convention, with creativity, and with transformation [iv]. Part of my sense of pause is associated with a break from convention (an absence of pause) into ‘post-convention’ (pregnant with pausation). 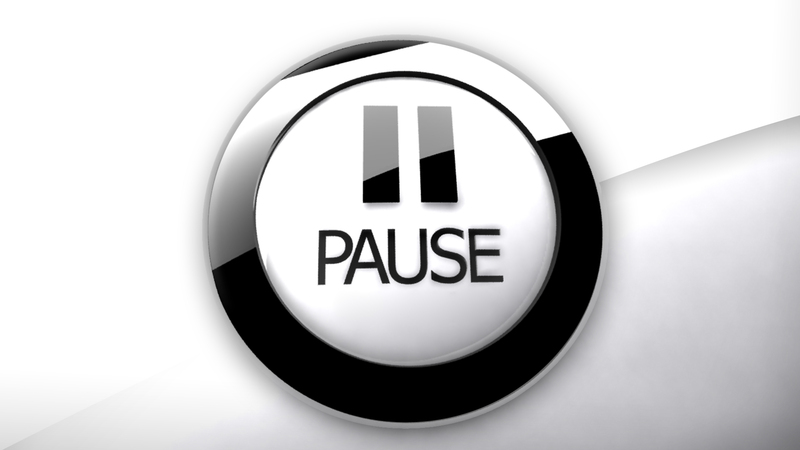 The power of pause initially felt most compelling in the context of programmed experiential personal/professional development activities, with the conscious injection of an opportunity to simply pause – from what was otherwise a normal course of events, or a regular/routine flow of experiencing. No other requirements, or expectations – of the facilitator, or the participants. Just a pause. An opening of sorts, a clearing. A suspension of what might otherwise be the case. A letting-go, with the possibility of a letting-come. If we think about it, most of our awake existence is characterized by an absence of pause in this respect – we are more likely to be on active, ongoing, busy ‘auto-pilot’, which can also be code for being ‘other-driven’. An actual pause is therefore – almost by definition – out-of-the-ordinary, if not outright extra-ordinary… when we consciously opt to check in with our Self. As such, it is a break with convention, but it is not so much unconventional, as post-conventional – if the underlying intention is effectively to tap the potential in the pause. To pause, in this sense, is essentially – perhaps without fully ‘knowing’ it – a future-regarding, rather than past-respecting, move – taking it beyond reflection as retrospection, and beyond therapeutic intervention. Indeed, it is less a therapy for what might currently ail us – that we might want to put a stop to, or cease – than an active whole-seeking intervention, in the sense of action with a view to enabling a new envisioning, tapping into the potential, in ever-more-whole-making. In some interpretations, the (pause-potential) intention would be less around what ‘ails’ us, as what ‘wells’ us… what supports/enables our ongoing well-being, by attending to our well-becoming. Etymologically, the root of ‘well’ is ‘whole’. Pause represents a potential whole-making place, dissolving divides, effecting integration – in service of our evolution (with ‘our’ defined in the best, broadest sense of the word). Consider that to ‘evolve’ is to become ‘ever-more-whole’. The invocation to pause can thus also be extended to embrace all dimensions of our selves – not simply body and mind. Pause can intrinsically invoke the intelligence in one’s heart and soul, and spirit; the potential in pause, pause-potential, is potentially infinite. ‘Prof-essence’ thus becomes an inner place for evolving what you profess, in the moment – an awareness of your awareness arising. [iv] See Endnote 1, above, for more discussion of these conjunctions.